Surviving the challenge of your program is a great achievement. But stepping forward into the world of your profession is the real challenge. You will see that there is so much more than your books and exams when you were still at school – your patients now will be your everyday companions and that your profession is the new life. Serving your patients will also mean educating them with the purpose and importance of taking good care of their dental health. With your oath of service comes the responsibility of doing your best in everything you do and be successful in the field you’ve chosen. 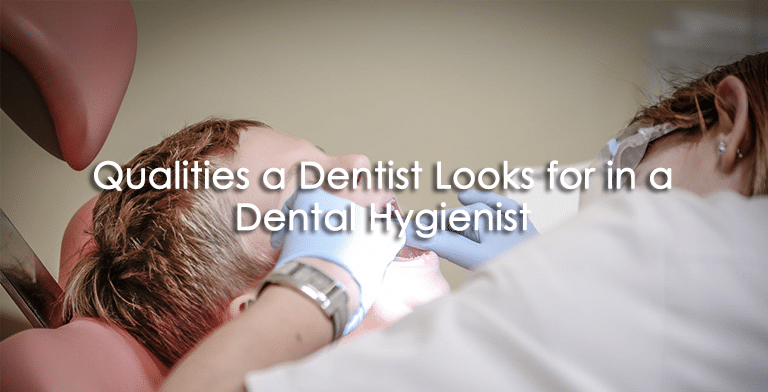 Take a look at these qualities that makes a successful dental hygienist. You’ve spent years working hard to win your profession and it is far more important to keep your word of oath. Come in early; accomplish tasks on time; try doing extra work that aren’t on your job description but within your capabilities; and always strive to be a team player. Your role as a dental hygienist is a crucial part of the dental team and your patients are your utmost priority. Finishing your degree doesn’t mean you stop learning. Taking on the profession is only the beginning of a much wider and bigger field of discovery. Every day offers change, innovation, new perspectives, and it is equally important to keep acquiring new knowledge for you to be a better provider of dental care. As a provider of care services, you face a lot of people everyday and there are days when you are challenged by your personal struggles. You should not let your emotions rule over for it will affect your communication with your patients. Might as well take a minute or so to relax your mind before meeting each of them. Your positivity will radiate to your patients and that makes all the difference. No to, “save yourself”. As a dental hygienist, you don’t operate alone because you should work as a team and you need to acknowledge that. In order to have a successful outcome, you have to do your part and look after the team. Help and encourage one another, take but never forget to give in return, and make sure you win but should always be with your team. It pays to listen. There is so much wisdom on taking in all the words on the outside, you take the good and leave the bad. As a care provider, it is important to create a relationship – a connection with your patients – the kind that you can speak to them with something that will drive them to live a happy life. The listening skill will allow you to handle these needs your patients have. These critical skills make a successful dental hygienist.